Grangers is a superb casual dining venue co-owned by Richard Cooke and Gina Henry. Grangers is a neighbourhood restaurant, where the menu is designed for sharing and reflects the simplicity of great produce and changing seasons. The approach is something altogether more natural, continually evolving, where the emphasis is on where the food comes from and how it is grown. The restaurant site provides a beautiful light-filled space overlooking the boats that fill the marina. A contemporary dining room, casual bar area with a large communal table and shaded outside seating. Grangers is a local place where you can drop in for a quick bite or a drink at the bar, a special celebration with friends or Sunday lunch with the family. The crew at Grangers let us have a little fun with this website, they were a unique tiled look to reflect their branding and decor, we came up with a responsive solution that was exactly that, tiles on tiles. 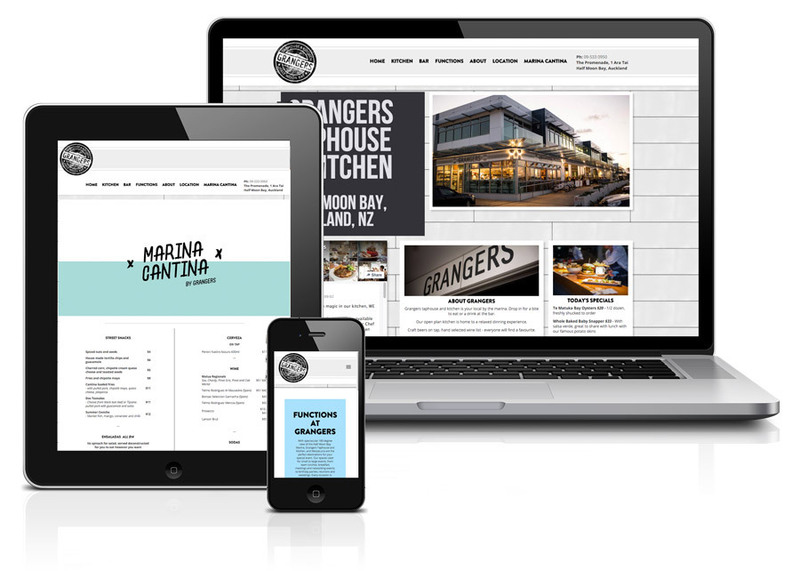 The new website allows Grangers to display information about the tap house, upcoming events, menus and drinks lists, as well as information and stories from their local community.